I love pumpkins and every year I try to find a new way to repurpose something old and make it into something new, like some form of a pumpkin. This year I saw something on the website “Surviving the Stores” that caught my eye and decided to make my own version of it. 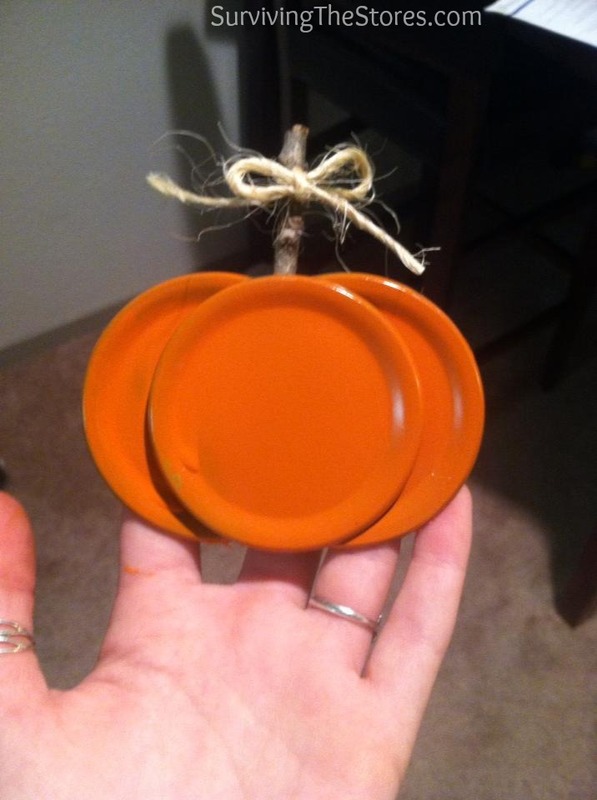 Here is a picture of the items I used to make my version of the mason jar lid pumpkin. Paint your lids orange, mine took three coats. Overlap the lids and glue them together and wait patiently for them to dry……………….sigh! I am sooooo NOT patient. 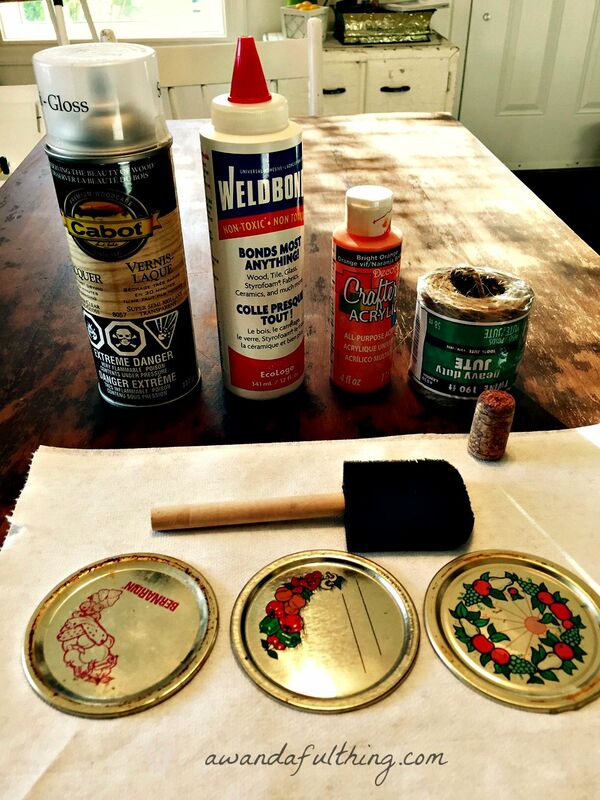 Once dry (finally) spray them with the lacquer and let that dry…..more waiting -ooh the torture!! 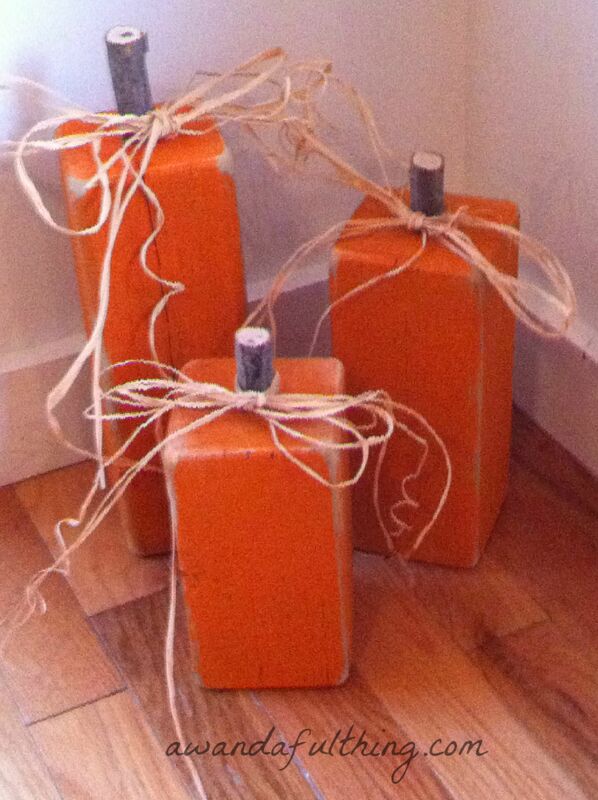 Add your stem (cork)and vine(jute)and Voila a cute little pumpkin decoration. Now, where to put it? How would you display it? 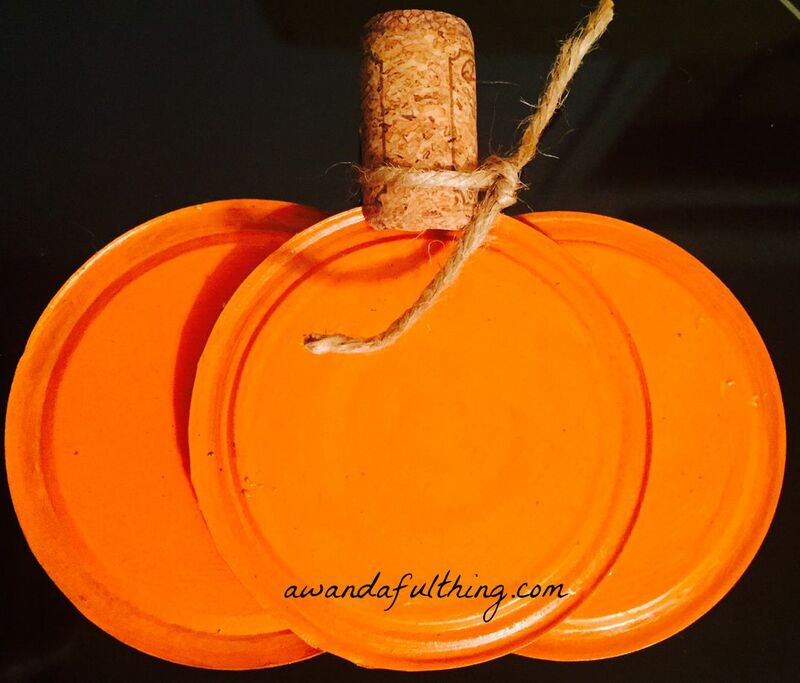 This entry was posted in Decorate, DIY and tagged canning, cheap, Decorate, DIY, easy, Fall, glue, inexpensive, lid, mason jar, paint, pumpkins, twine. Bookmark the permalink. That is a great idea, thanks for sharing!! I think it would be neat as part of a fall wreath.